Emission Ratings – How Green Are Our Cars? How do we answer the question – How green are our cars? We can answer this question by quantifying relative emission. This tells us how good (or bad) the actual CO2 emission of a car is, relative to the emission of an ideal car. What is an ideal car? To understand how green our cars are, it is important to understand what these numbers mean, and where they are coming from. The first step to understanding what the factor CO2 is, is to understand what and ideal car is. The above figure shows how the energy in the fuel of the car travels. As the energy of the fuel travels through the car, it is lost in 3 major ways. The first is the loss in the powertrain, the engine, etc. This makes up the internal loss. Once the energy reaches the wheel it is lost in two more ways, the first being rolling friction, and the second being the air drag. These two losses make up the external loss. From there, the energy can be used to accelerate, which is then lost when the car decelerates (brake loss). In an ideal car, the energy in the fuel is not lost in any internal or external losses. All the energy in the fuel goes toward making the car go faster, and is all lost when the car slows down. Using this definition, it is possible to come up with an equation of the ideal miles per gallon of an ideal car. See https://arxiv.org/abs/1506.06778 for additional details. How do you find the factor CO2? The factor CO2 is defined as the grams of carbon dioxide emitting by a real car divided by the grams of carbon dioxide emitting by an ideal car that is using the same fuel, and has the same mass. The factor CO2 is the factor by which the actual car emits more CO2 in comparison to the ideal emissions. In other words, factor CO2 is the number by which the ideal CO2 emissions would need to be multiplied in order to get to the actual CO2 emissions. For example, if the ideal CO2 emissions were 5 and the actual were 20, the factor CO2 would be 4, because 5 times 4 is 20. This is useful because the deviation between the actual and the ideal is due non-idealities in different parts of the car. These could be inefficiencies in the power train, the fuel combustion process, among other things. The factor CO2 helps compare the efficiencies of use of different fuels. For example ethanol and gasoline could both have 100 gCO2/mi. However, this could mean different efficiencies since the ideal limit for ethanol and gasoline are different. 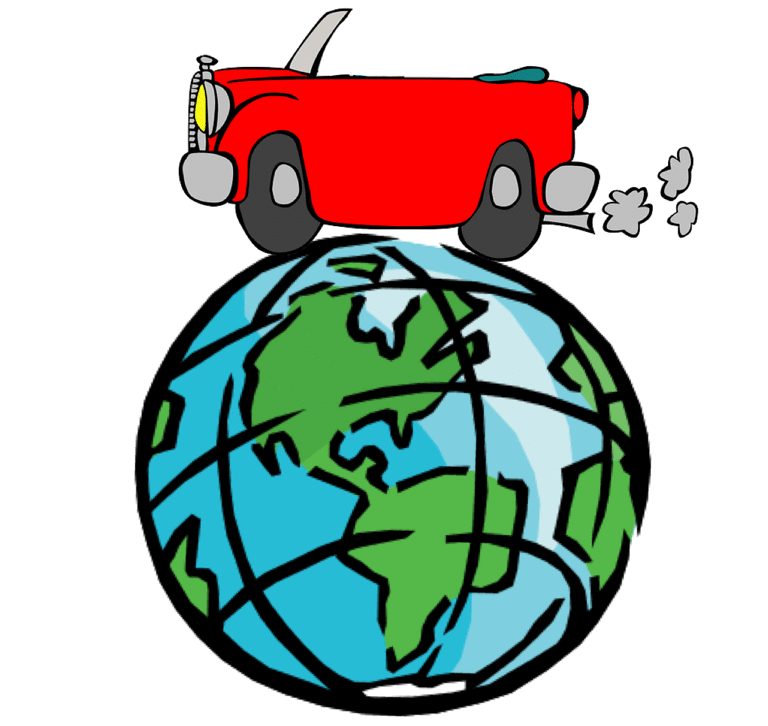 A large factor CO2 reveals that the CO2 emission of a real car is very large compared to that of an ideal vehicle, while a small factor reveals that the emission of a real car is very close to that of an ideal vehicle. In short, a large factor CO2 reveals that the CO2 emission of a real car is very large compared to that of an ideal vehicle, while a small factor reveals that the emission of a real car is very close to that of an ideal vehicle. What is a Driving Pattern? A driving pattern is a speed and acceleration profile of a specific drive down a certain set of roads. Different driving patterns have different speeds, acceleration times, and start and stop times. These factors effect the CO2 emission of the car. There are 2 main types of driving patterns in the US, Urban Driving (FTP) or Highway Driving. Urban Driving is a road in a city or suburb, where there are multiple stoplights lower speed limits. Highway Driving is a freeway, where there is little stopping and starting and higher speed limits. Both of these driving patterns were used for analysis.